The MV Dream is one of the newest superior category ships in Croatia. On board the 40 guest capacity cruise ship, you can enjoy luxurious comfort, modern and spacious en-suite cabin accommodation, state-of-the-art technology, and relaxing sun deck with hot tub. The cruise ship also has an easy-access swimming platform at the rear. The interior features an elegant air-conditioned dining and bar area, where you can relax and enjoy a drink while admiring the spectacular ocean views en route to the beautiful islands of Croatia. The MV Dream is a 40.1m (131 ft) long, 8m (26 ft) wide superior ship, with a cruising speed of nine nautical miles per hour. The ship features state-of-the-art equipment and amenities. She has a maximum capacity of 40 passengers in 20 twin or double cabins, ensuring friendly personal service. 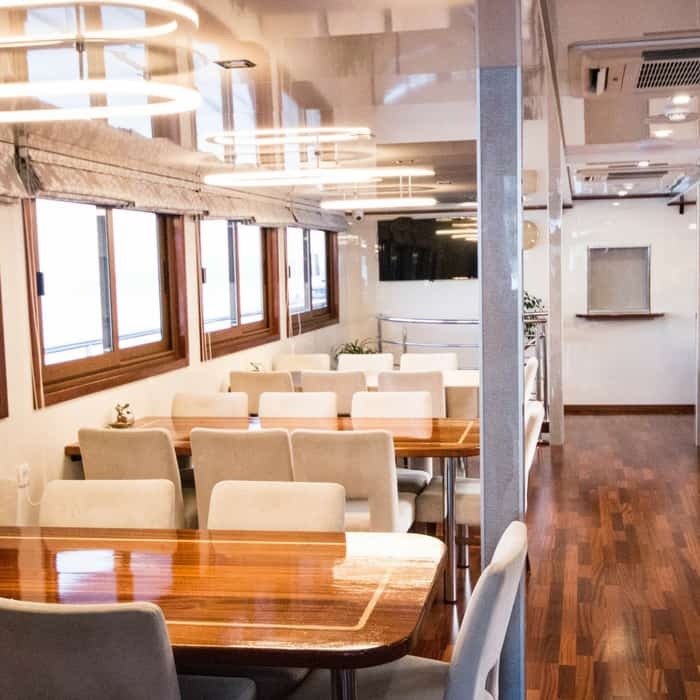 The ship’s upper deck features a spacious air-conditioned dining room with bar area which features an LCD TV, a corner buffet breakfast table and covered outdoor lounge area. 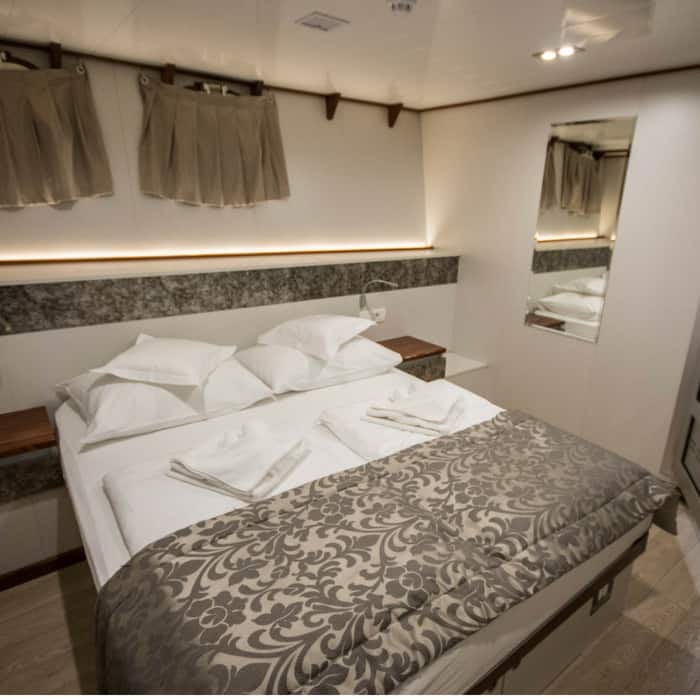 The MV Dream features 20 modern air-conditioned cabins with one upper deck, 11 main deck cabins and eight lower deck cabins measuring approx 9 to 11m2. All cabins are fully equipped and include a safety deposit box, fire alarm, emergency lights and internal communication for announcements by the Cruise Director or Captain. In addition, each cabin has life jackets, desk and a window (main) or port hole (lower deck). The bathrooms on board the ship are fitted with a toilet, shower, sink and hair dryer. 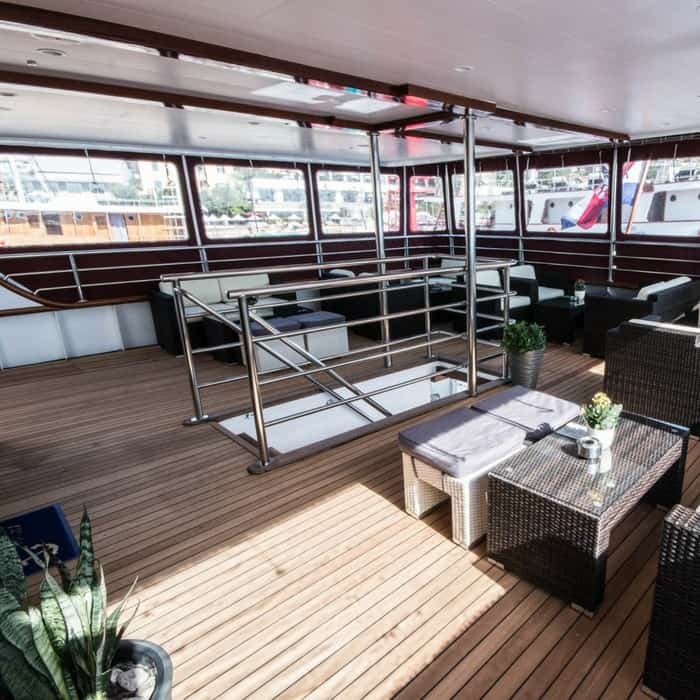 The ship offers plenty outdoor space for guests to enjoy with a spacious restaurant and bar area on the upper deck with LCD TV, accompanied by a covered outdoor lounge area with sofas. 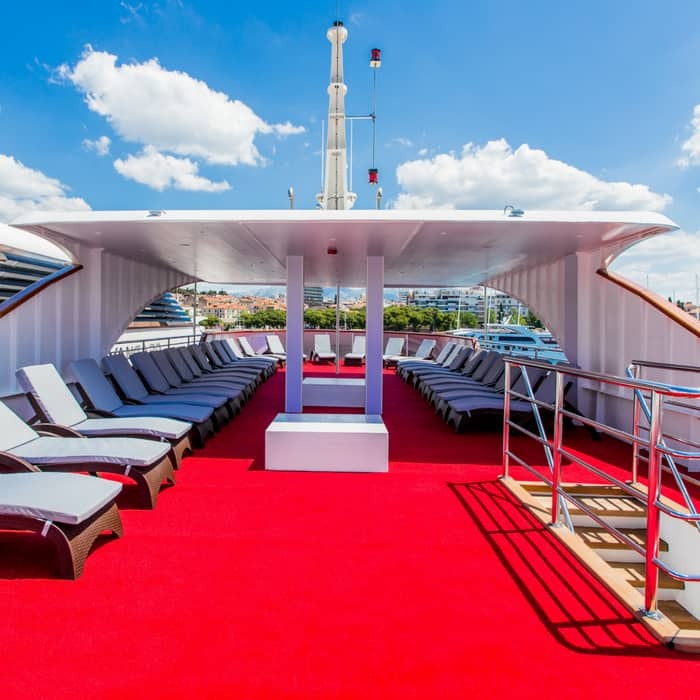 The sun deck is perfect for sunbathing with plenty of sun-loungers for all passengers and a shaded area. The ship has a rear platform with ladders for easy access to a dip in the sea. A further two outdoor showers and two deck toilets are also available. Free WIFI is available on board the ship.